Are you feeling the holiday spirit this season? 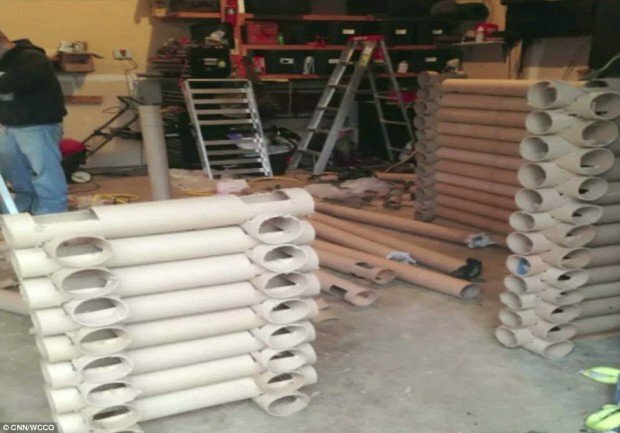 Well, this saleswoman transformed her desk space into a Christmas cottage with cardboard tubes and enticing decorations. She installed flashing lights a green garland, and even some fake snow – Wow! Not to forget crediting her husband’s efforts who actually helped quite a lot in building this little cabin in their garage. 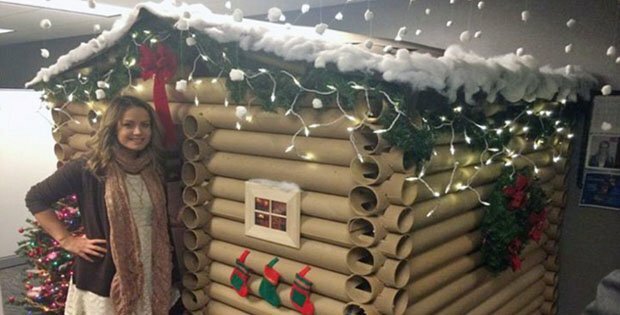 This office worker certainly means business when it comes to Christmas cubicle decor. 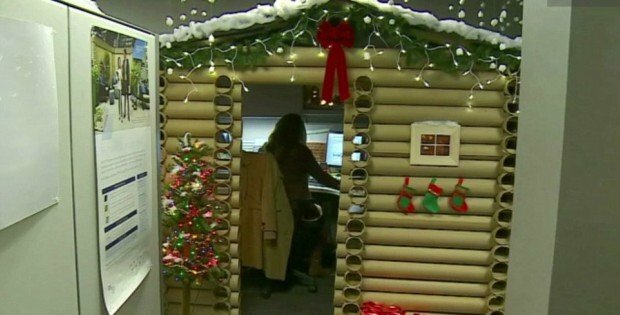 Angela Westfield, a saleswoman at the W Minneapolis hotel in Minnesota, spent 18 hours building a log cabin out of cardboard carpet rolls in a bid to give her desk space a wintry lift. The festive structure, over 6ft high, includes a walk-through door, a snow-covered roof and an alpine garland topped with flashing fairy lights. Red and green stockings also hang from the exterior. Angela even included a window in her design to enable her boss to check up on her.